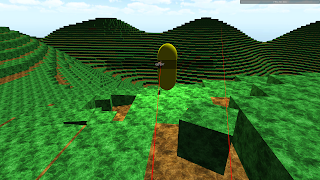 CodeBison Games: What good are rockets without something to shoot? What good are rockets without something to shoot? NPCs have basic AI support through the AI class. Currently this is a simple state machine, with more advanced behaviour to come later. As usual, you can try the latest build here.